Kolkata, Oct 28 (IANS) A day after hinting at the possibility of Mukul Roy joining their party, the BJP on Saturday said the process of the former Trinamool Congress leader’s inclusion is in progress. 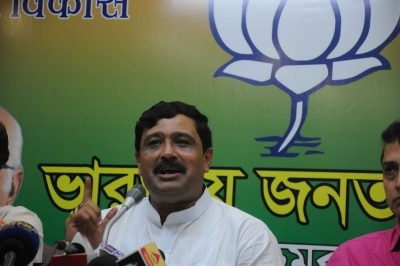 “The final decision on the joining of Mukul Roy was not taken today (Saturday). I can say the process is in progress. Opinions of state (West Bengal) leaders and the unit as a whole were noted and accordingly, the central leadership will take the decision,” party’s National Secretary Rahul Sinha said. He said the state unit would discuss the matter with the central leadership. Bharatiya Janata Party national General Secretary Kailash Vijayvargiya on Friday had said Roy expressed his wish to join the BJP to the party’s West Bengal unit. Roy had quit the Trinamool and resigned his Rajya Sabha seat citing “lack of principle” as his compulsion to leave a party of which he was a founding member. Previous: Quality check on lyrics: Censorship or consciousness?